The race to the top has just gotten tighter, with two rising mega-towers in the Middle East battling to become the world’s tallest. Construction has now begun on The Tower at Dubai Creek Harbor, a vast waterfront development, with completion scheduled for ahead of Dubai’s Expo 2020 world fair, which kicks off in October that year. Piercing through a canopy of clouds, The Tower, at 3,045ft (928m), aims to take the title of world’s tallest tower, which the 2,723ft-tall (830m) Burj Khalifa, also in Dubai, has held since 2010. But it’s got competition. The Jeddah Tower, in Saudi Arabia, is also slated to finish in 2020. 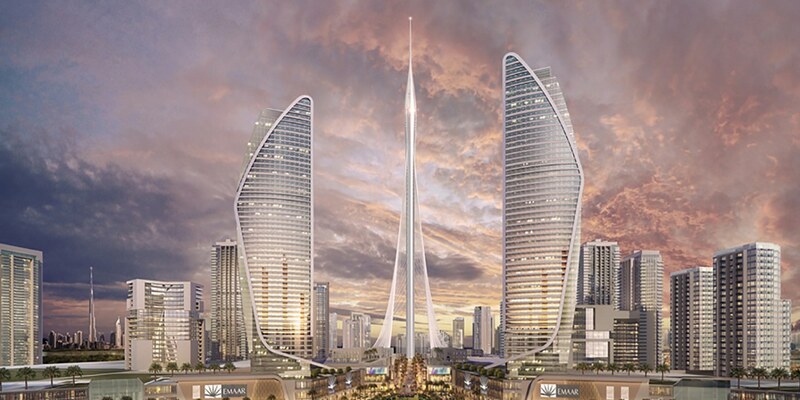 When completed, this gleaming vertical will be 236ft (72m) taller than Dubai’s creation. The Tower, in Dubai, is being constructed by Emaar, the real estate giant also behind the Burj Khalifa, and will anchor the Dubai Creek development, serving – developers hope – as a magnet for tourists. Designed by Swiss-Spanish architect Santiago Calatrava Valls, it will feature The Pinnacle Room — an observation point offering 360-degree views of the emirate – and public vertical gardens, while 18 to 20 floors have been reserved for homes, restaurants, shops and a boutique hotel. This $1.23 billion construction project is, however, already40 floors off the ground, with 212 left to build — it’s undeniably farther along than the Dubai Tower. But to think Dubai could finish first is not “as farfetched as it sounds”, according to Jason Gabel, communications manager for the Council on Tall Buildings and Urban Habitat (CTBUH). Because less than 50% of The Tower’s height is occupied by usable floor space, it is defined by the CTBUH as a “supported tower” rather than a “building”. This technicality precludes The Tower from achieving the distinction of being the world’s tallest building. 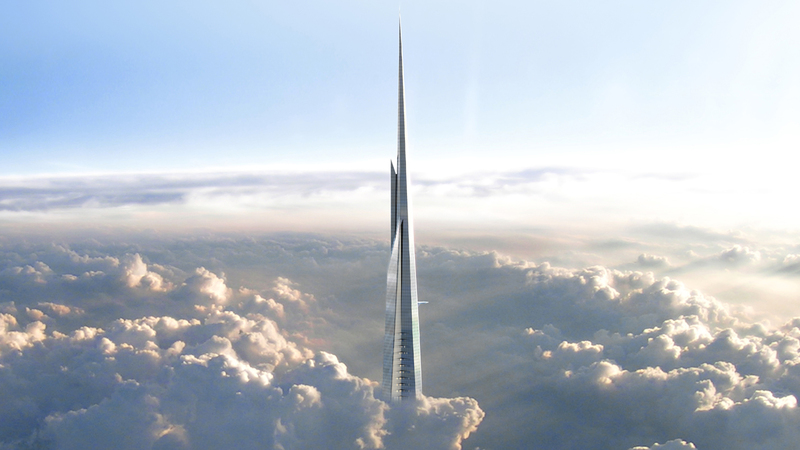 Rather, it would be the world’s tallest man-made structure, or tower, until the Jeddah Tower is completed. Dubai’s lofty intentions debuted in 1979, with the 39-story Dubai World Trade Center. It was the city’s first high rise, and the tallest building in the Middle East. Height produces iconicity and visibility on a global stage,” says Gabel, explaining why Dubai has focused on building big. “Visibility is itself an asset that can have a positive impact on real estate valuation, investment flows, tourism numbers, and public identity. “These soaring profiles are in many ways symbolic,” Chen tells CNN. A series of fires in the past few years, including a blaze that tore through a luxury skyscraper on the Palm Jumeirah artificial island in Dubai this month — have called into question the quality of some towers, and their fire-proofing. “Super tall buildings are not unproblematic and there are safety concerns,” says Chen. “Extensive studies were undertaken in preparation for the ground breaking, and the learning that we have gained from the experience will add to the knowledge base of mankind,” he said in a statement. “We need to have a balanced and careful look at skyscrapers,” says Chen. “But they do serve to again push technologies, and push what’s possible. By ldexportgulfnews in Uncategorized on September 13, 2018 .